It has been announced by President Trump that First Lady Melania will be focusing her efforts on “women’s issues.” He also found the time to go after the media for their unfair targeting and maligning of her. All the past modern First Ladies have made it their project to work on certain issues to compliment their significant other’s platform. Nancy of course cracked down on the drugs. Laura helped children become more literate and Michelle…well, Michelle took it upon herself to make kids miserable with her school lunch programs in an attempt to fight obesity. Melania did the honor of reopening the White House visitor center this week and Trump made sure the media knew that. 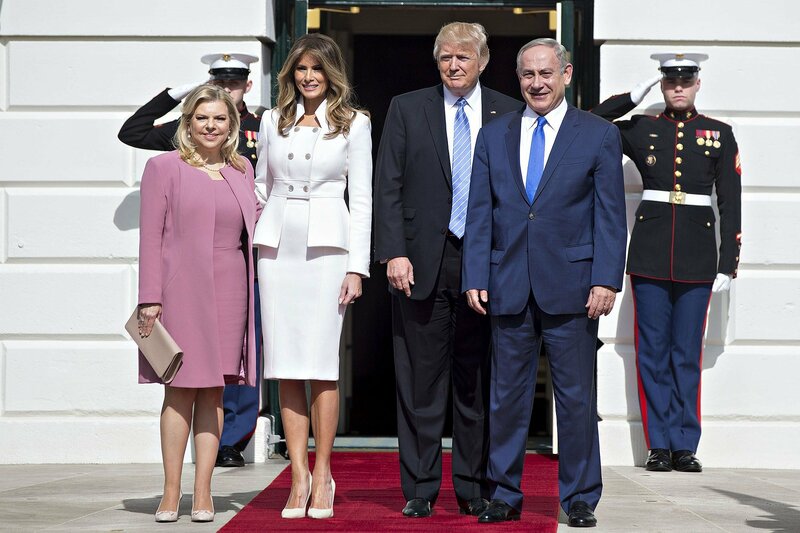 Both the President and the First Lady also hosted Prime Minister Benjamin Nethanyahu and his wife Sara on Wednesday. To the media’s surprise, he even had Sen. Marco Rubio and his wife Jeanette to dinner that night. The First Lady has shown nothing but grace in her role. How the media and the left malign her and still believe they represent woman’s rights is puzzling…and just plain psychotic.